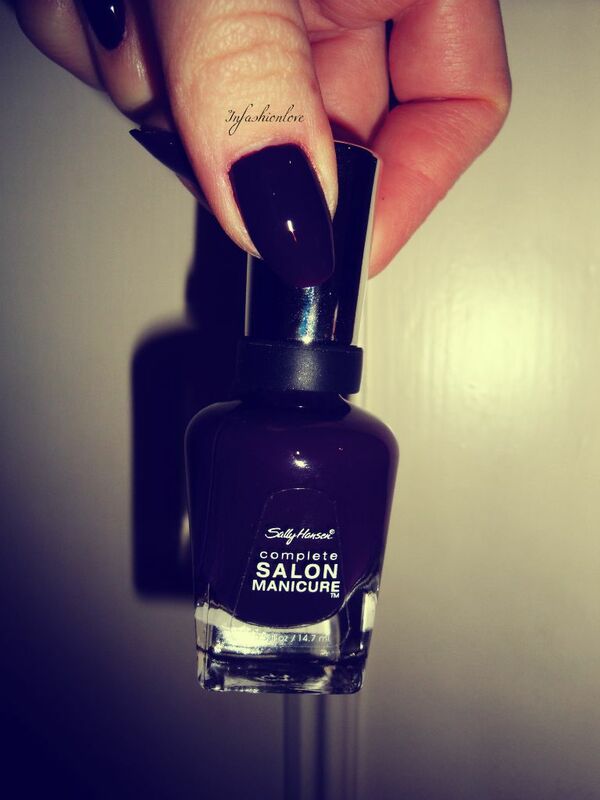 INFASHIONLOVE.COM: Sally Hansen Complete Salon Manicure in Plum Luck! 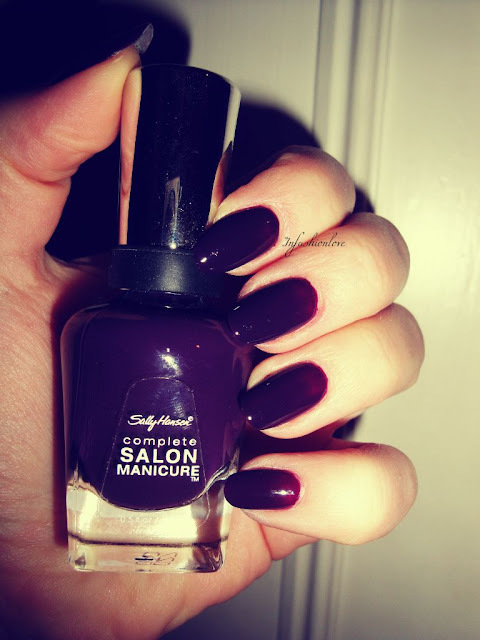 Sally Hansen Complete Salon Manicure in Plum Luck! It's the first Sally Hansen nailpolish I have tried! The application brush is just fantastic, literally a manicure done in minutes... It's a wide brush with rounded corners making the application so easy and super fast! If you are someone who isn't great at nailpolish application and you manage to get it all over the cuticle and around the nail-plate you should try the Sally Hansen Complete Salon Manicure nailpolish... The quality of this nailpolish is also great, Plum Luck being a dark colour which always tends to chip on me on the second day, lasted very well including the tip-wear... Plum Luck is a classic dark plum shade, when I sometimes don't know what colour I want on my nails I go for this type of shade, it always looks neat and chic! This is such a pretty shade! I don't think I've ever noticed it before; I need to look for it.